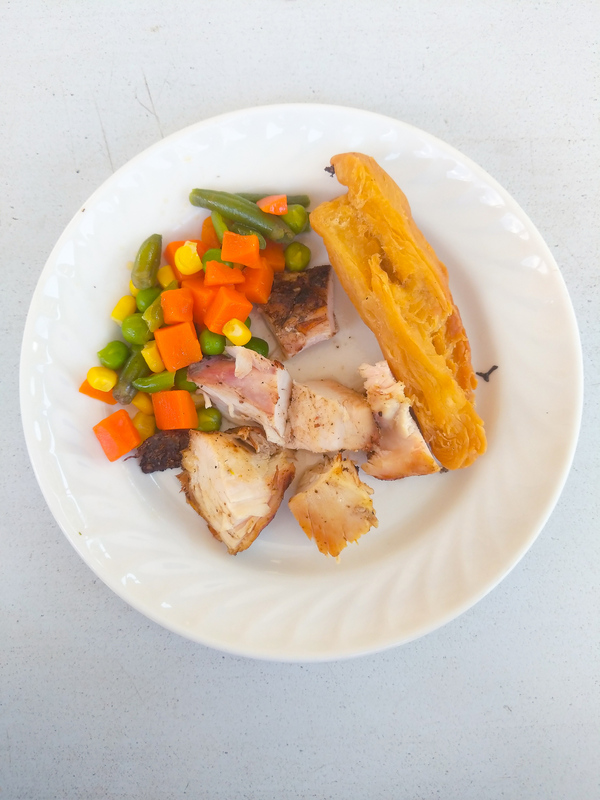 I recently had the daunting task of trying to eat as much traditional Jamaican food as I could in five days. It may be an island, but Jamaica is a country where for the phrase “melting pot” could have been invented, both for its people and for its food. This Caribbean island is a nation of colonizers and immigrants, including the British, Spanish, Chinese, Indian and African. Each culture brought their own food and customs to Jamaica. 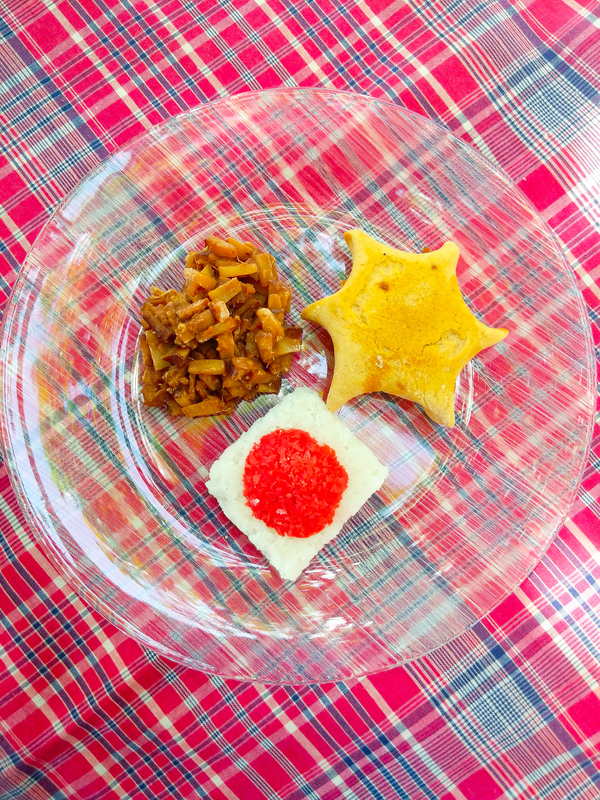 The food can be very distinct from neighbouring islands because of the techniques and flavours from these immigrating cultures. Let’s makes this clear – Jamaica is more than jerk chicken. Visiting Jamaica you experience this unique culinary fusion. 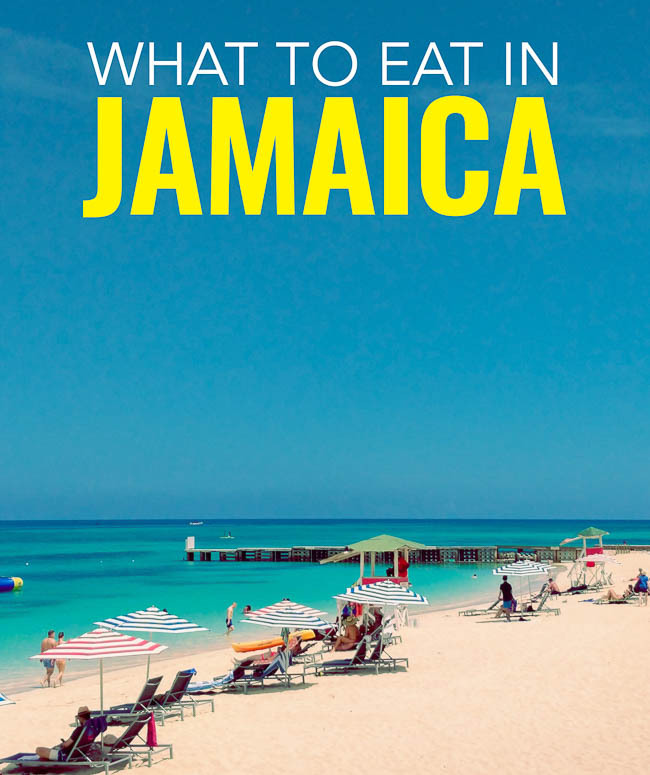 The best way is to avoid familiar fast food restaurants to discover the diversity of the Jamaican way of life through the markets and street food. 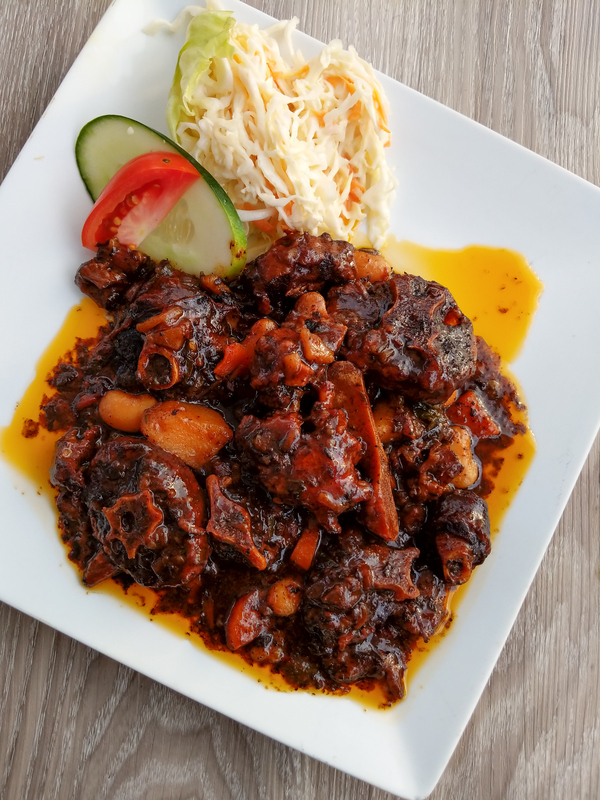 Here you will encounter food that epitomizes the melting pot of traditional Jamaican food. I’m not going to lie, this is an acquired taste…and texture. But you have to try it. This is Jamaica’s national dish. The fleshy, yellow part of the seed pod from the ackee fruit is cooked with salted cod fish. When cooked, ackee looks similar to scrambled eggs. It is also often eaten for breakfast.It’s rare to find ackee elsewhere. The fruit is part of the lychee family and was imported from West Africa in the late 1700s. But ackee is a time consuming and somewhat difficult fruit to cook with, there are inedible portions and the unripened fruit is poisonous. You need to trust the person you’re buying from otherwise you may end up with Jamaican vomiting sickness. 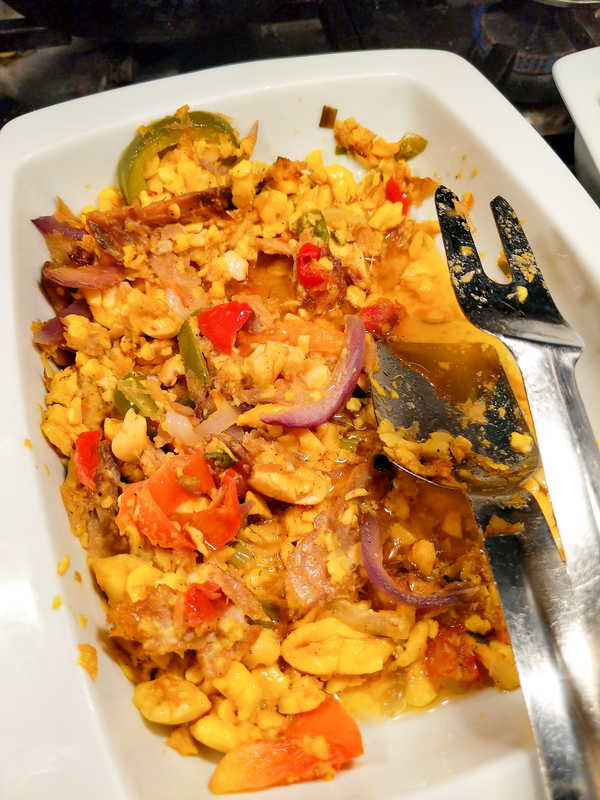 Fortunately I tried this at the RIU Grande Jamaica, which is one of the most popular resorts for Jamaicans and so their buffet includes a lot of great traditional Jamaican food. I also learned that I’m not a fan of ackee and salt fish. But hey that’s what buffets are for, you can try a bit of everything. One of my favourite things to eat in Jamaica! Bammy or bami is very similar to casabe bread or yuca bread. 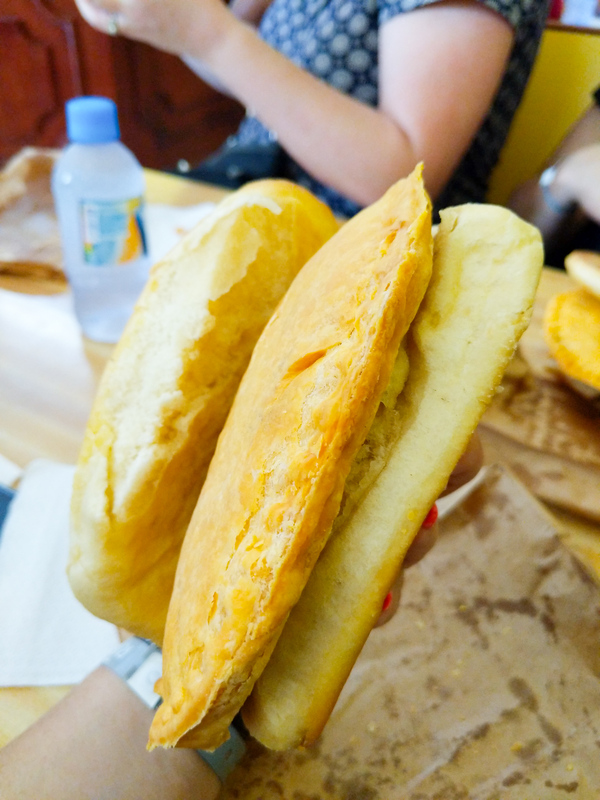 The differences between the two are that bammies are thicker and yuca bread is made from grated cassava and salt. It is then fried in a skillet. Bammies are sometimes fried straight up or soaked in coconut milk and then fried, steamed or baked. Bammies can be served with sweet syrup or as a breakfast food. Yet, it is more common to find bammy bread with fried fish, beef or cheese. 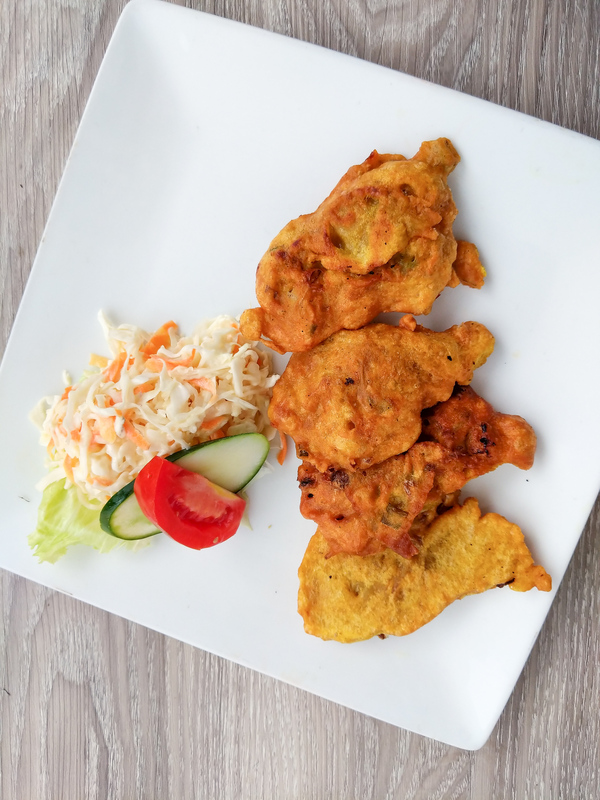 I had bammy both fried and bakes in coconut milk at Peppa’s in Montego Bay and adored it. You may have tried an international version of the Jamaican beef patty. But nothing beats the original. The Jamaican beef patty has a flaky crust with a variety of different fillings. If you are familiar with the turnovers or Latin American empanadas, this is very similar. The original filling is beef but you’ll also find chicken, shrimp, lobster and fish. A beef patty is a snack but if you want to make it a meal, Jamaicans also put it inside coco bread. Personally this Jamaican food is far too much of a starchy carb for me but I love coco bread and I could easily eat a loaf of that on its own. If you want to eat in best beef patty in Montego Bay you’ll find locals split between two spots, Juici’s and Tastees. I tried both and slightly preferred Juici’s for its flakey pastry but you can’t go wrong with either. Although this is technically a fruit, breadfruit is used as a starch. You can fry, grill, bake or puree it and it has a similar consistency to potato. Yet breadfruit is full of nutrition and is low on the glycemic index. And many believe it could solve issues of world hunger as it grows easily in places that have issues with food security. Read more about how we could feed the world with breadfruit. Oh how I love my greens! This is a dark green leaf plant that grows as tall as 2 feet high. The thick, large leaves are similar to spinach. 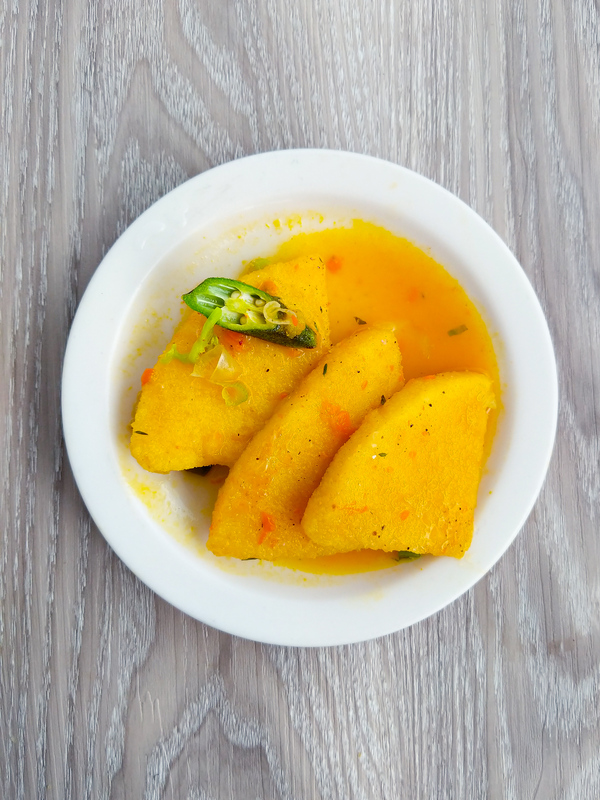 This traditional Jamaican food is often eaten for breakfast along with boiled green bananas. but you’ll find it as a side in other meals as well. Popular for Sunday dinners. Chicken is fried then stewed creating a thick brown gravy. This dish is popular in many Caribbean countries. Not to be confused with the stew pepper pot, which is also found in Jamaica and one of the best things to eat in Barbados. 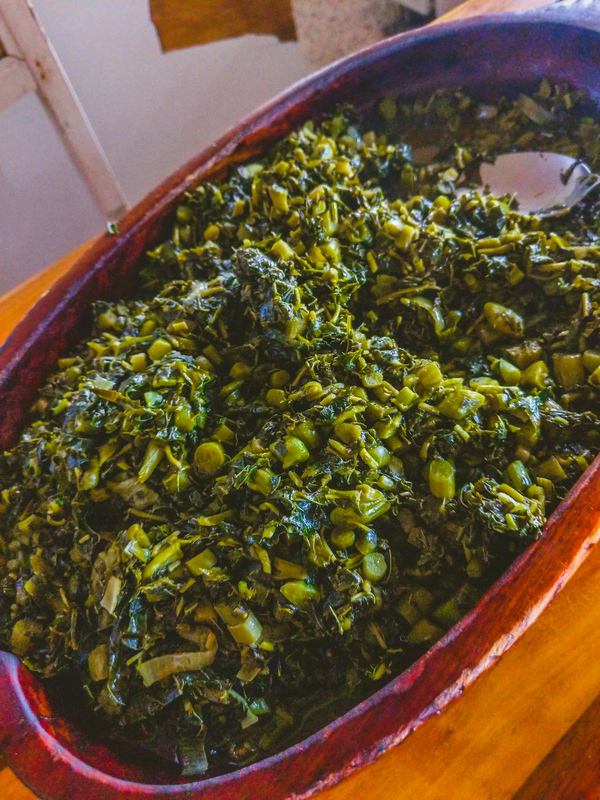 This soup is similar to spinach soup, where callaloo replaces the spinach. It’s seasoned with scotch bonnet peppers and quite spicy. It can also be cooked in salt beef broth to give it a great umami flavour. Not surprisingly this dish is an example of what Jamaica’s Indian population contributed to traditional Jamaican food. When slavery ended, tens of thousands of people from India came to work on the plantations and brought their love of curry spices. While there is a now only a small Indian population, the love of curry lives on. A healthy, yet filling breakfast option. Jamaican porridge is made with everything from cornmeal to oats to plantains. Eating festival alongside jerk chicken and veggies on the Falmouth food tour. Similar to a dumpling but in more of a cylindrical shape, the base is cornmeal but also includes sugar, flour, spices, milk or water. It’s fried until golden brown. Served as an accompaniment from everything from jerk meats to fried fish. This was at the bottom of my list for Jamaican food. I didn’t love festival as it was also a bit sweet and I prefer savoury food. Don’t be fooled by the name, this is actually a spicy fish soup. There are different versions, some lighter than others. Some are like drinking a broth whereas others are a full meal. The most common fish to use for this is the local doctor fish. It is said to return strength to the body. It is a hearty soup with vegetables and young green bananas. And don’t forget this soup is considered to be an aphrodisiac so eat it with care. This dish is commonly eaten at Easter, especially on Good Friday but you can find it all year round. This dish originated from Spanish Jewish settlers. A whole fried fish is covered in lightly pickled vegetables, which may include carrots, scotch bonnet peppers, pimentos, onion and chayote. If made at home it’s common to eat it the day after it’s made so the flavours have time to meld. 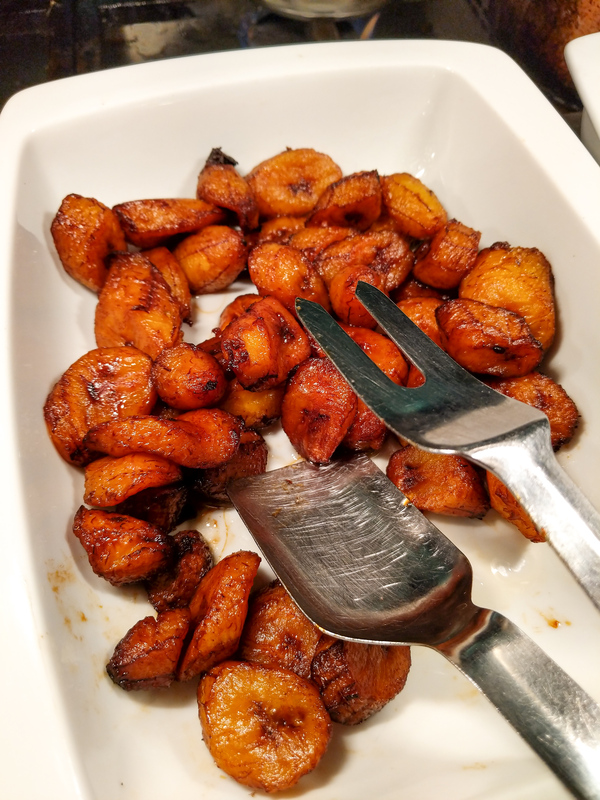 There are many types of fried plantains, sometimes they are savoury like chips but my favourite are the sweet plantains. Run down is a flavourful Jamaican fish stew. It is traditionally cooked in coconut milk, onions, garlic, and tomatoes until it develops a thick consistency. It’s a traditional Jamaican food that many Jamaicans abroad cite as the one dish they miss most from home. Run down is usually made with cod or mackerel, cooked into larger pieces. It’s called run down because the fish is cooked until it is so tender it falls apart or runs down. It is delicious served with dumplings, rice or boiled bananas on the side. 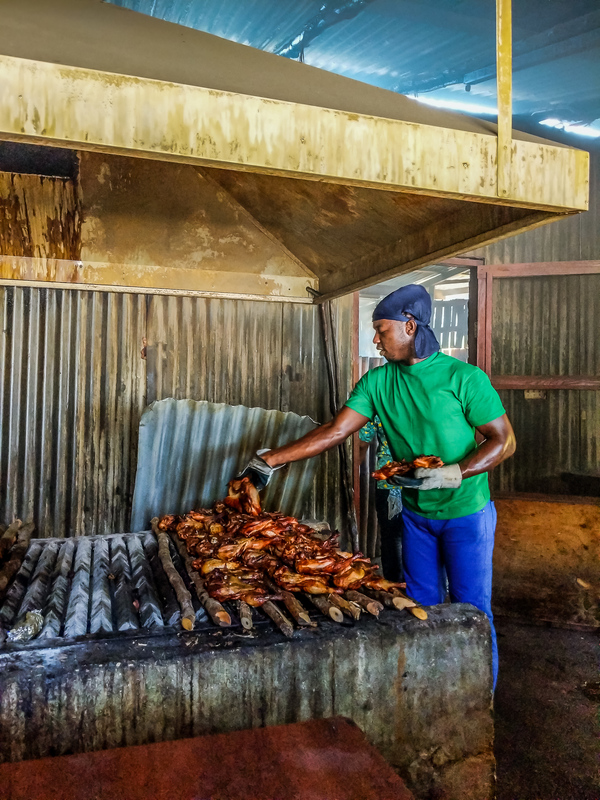 The most popular spot to try jerk chicken is Scotchies, where it’s cooked over pimento wood. 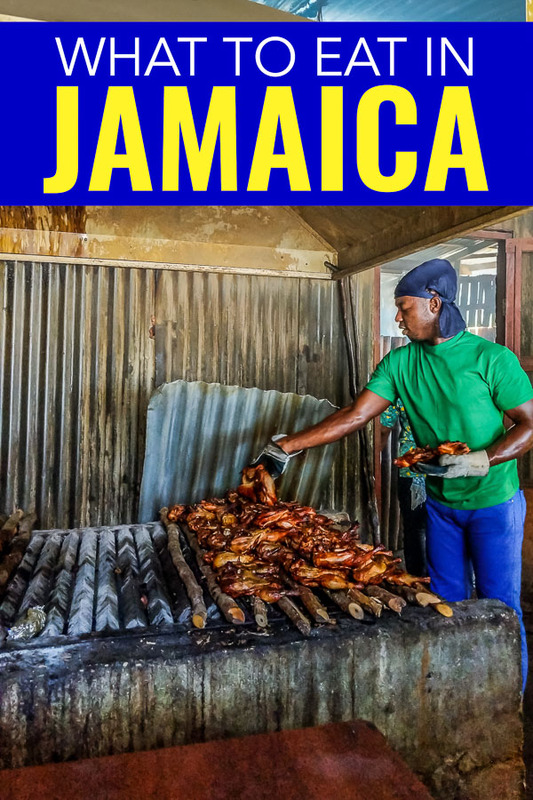 One of the most traditional Jamaican food, if you think you know jerk chicken you haven’t had the real thing until you try it in Jamaica. The name is derived from the Jamaican jerk spice, a flavourful mixture that marinates the chicken. Jerk spice is made from combining cinnamon, cloves, ginger, thyme, garlic, pepper and nutmeg. However, you can use jerk spice on anything including carrots. 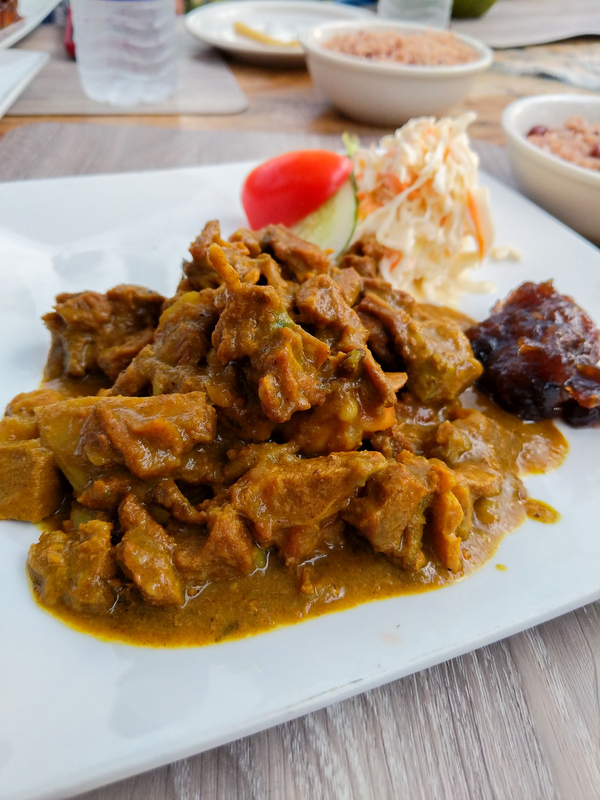 Many Jamaican restaurants also offer jerk beef, shrimp, vegetables and tofu. However, Jamaican jerk chicken continues to be the most popular choice. This dish is found on just about every lunch and dinner plate. It is sometimes nicknamed the Coat of Arms. It features rice and either peas or beans, which are cooked in coconut milk and spices. In Jamaica the preferred “pea” in this dish is the red kidney bean. Oxtail has a rich, meaty flavour that adds a hearty taste to warming winter stews and soups. It has a fairly large amount of creamy far covering the rich, dark meat with almost an equal proportion of meat to bone. Once a cheaper source of meat as it requires a long stew to make it tender, the world has discovered how delicious it is and it can be more expensive that regular cuts. I was surprised to hear this dish is also traditional in my home province of Nova Scotia – although we also have a history of salted fish. Fish has been used and salted for centuries in Europe and Canada. When Europeans arrived in Jamaica they brought salted fish, which continues to be used in many traditional Jamaican foods. However, this dish isn’t just a straight import. As a traditional Jamaican food the creamy salted fish pate is served on crackers and infuses the local spices of the country. This traditional Jamaican food often pops up at casual get togethers, family dinners and special occassions. This dish also uses salted fish. The bitе ѕizеd version works perfectly as finger fооd or appetizer and is often infused with spicy peppers. 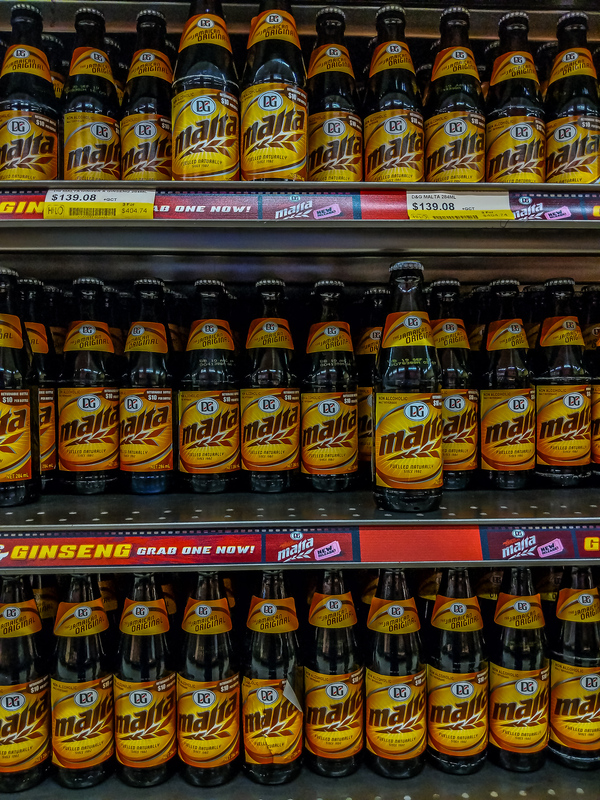 Jamaican Malta is a lightly carbonated malt beverage. It is brewed from barley, hops and water. Malta is like a beer that has not yet been fermented. However, Jamaican Malta is non-alcoholic and is consumed in the same way as soda in its original carbonated form. It has the same dark brown colour as a stout. But it has a sweet flavour like molasses. You can also drink it over ice. This drink has a signature green, yellow, red frozen layering and if perfectly instagrammable. But instagram aside, it’s also delicious as it includes layers of strawberry daiquiri and mango. While Sandals resorts originally created the recipe, you can also for it anywhere. Grown in the Blue Mountains, this Jamaican coffee has a reputation for being one of the best in the world. Yet this isn’t a traditional Jamaican food, in fact Jamaicans don’t drink much coffee. And so 95% of coffee is exported and 75% of that goes to Japan. While there are ginger beers all over the world, what sets the Jamaican ginger beer apart frоm the rest is its ingredients. It is authentically brewed with locally grown Jamaican ginger. Jamaican ginger has traditionally been recognized as one of the best in the world. It is well known for its quality of flavour, oil content and appearance. And if you love ginger beer it happens also to pair well with local rum. The iconic beer of Jamaica, although it comes in a stout bottle it is actually a lager. You can also find Red Stripe Light, Red Stripe Bold and two flavored Red Stripe variants, lemon and sorrel. In Jamaica sorrel punch is a holiday tradition. Made with antioxidant-rich dried sorrel flowers (aka hibiscus) that gives it a bright red colour. The drink is often a warm, spicy flavour, thanks to the fresh ginger and the combination of star anise, cinnamon and allspice. 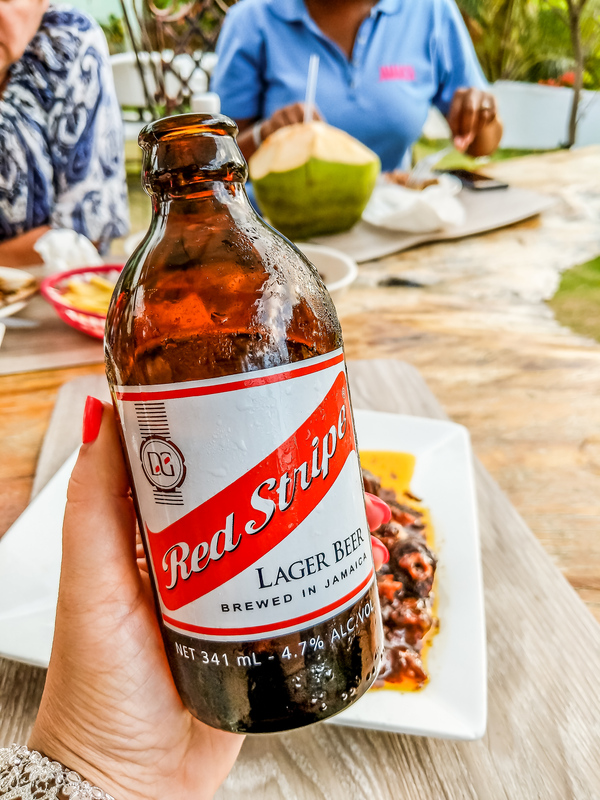 It’s become so popular you can find it outside Christmas and Red Stripe has a flavoured version of their beer worth trying. A soft drink made from grapefruit concentrate. Locals оn the island sometimes mix it with citrus vodka to concoct an alcoholic drink that is perfect for the tropical heat. Coconut water is the clear liquid inside a young, green coconut. As a coconut ages, the water is replaced by air and coconut meat, which contains the fat. At this mature stage you find coconut milk. But coconut water is great for hydration, fat-free and has many antioxidants. But go easy on it as it’s also a natural laxative. Jamaican Guinness Punch is creamy, bitter and sweet all at the same time. The punch isn’t fruity but instead made with Guinness, sweetened condensed milk, whole milk and spices. A nice contrast to Red Stripe, Dragon Stout is a typical dark, rich stout that pairs well with spicy traditional Jamaican food especially the scotch bonnet peppers. 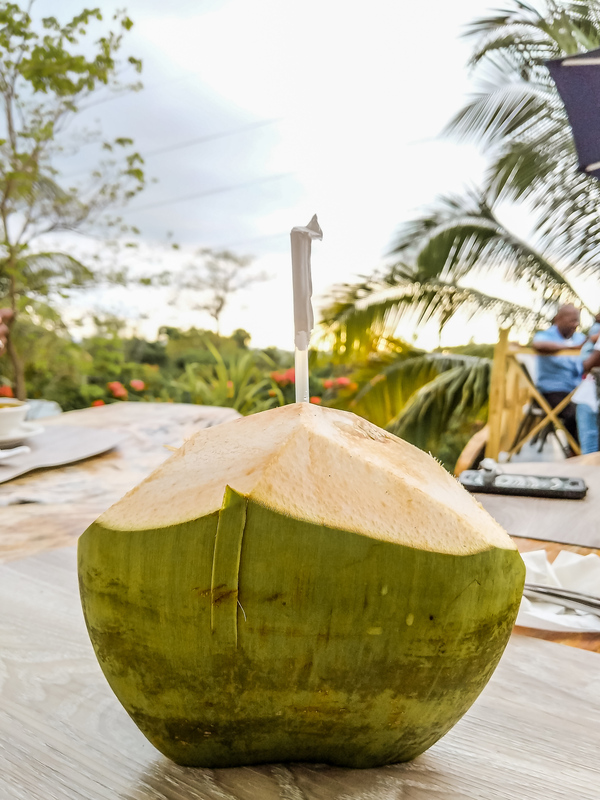 Made from local sugar cane, you cannot visit Jamaica without trying just a little bit of rum. While the most popular commercial brand is Appleton’s you can find many other brands throughout the island. Technically all non-alcoholic hot beverages in Jamaica are called tea. So in this case, coffee is also tea. But Jamaicans don’t really drink coffee and most of it is exported. Tea is common but not in the way you might expect. In Jamaica, tea is usually made from local plants and bark from trees. Cосоnut drops or just plain drops are a traditional snack that’s very popular with Jamaicans of all ages. The name is a reference to how these sweets are made – by dropping a hot mixture of diced coconut, spices and sugar onto a banana leaf to cool. Another super sweet treat, gizzada are made with a base that is similar to a tart. They are fillеd with a blend of coconut, brown sugar, cinnamon and ginger, cooked and mixed together. Made from coconut, spices and sugarm the grater cake is a delicious Jamaican candy pastry. But, coconut, lime and rum are added to banana to give this sweet bread an indulgent taste. Made with grated cornmeal or sweet potato or cassava along with coconut milk and local spices, this is a very popular dessert. Technically sweet potato pone is a bit harder than Jamaican pudding and you won’t find any raisins. Toto is a traditional Jamaican dessert that is served at most family gatherings. This coconut cake dates back to the days of slavery when hungry slaves only had coconut molasses and flour for a meal. Today the recipe is a bit more elaborate but recognizes its humble beginnings. Tell me what is your favourite traditional Jamaican food that is NOT on this list? What did I miss? Disclosure: This post about traditional Jamaican food is part of a paid series in partnership with the Jamaican Tourism Board. 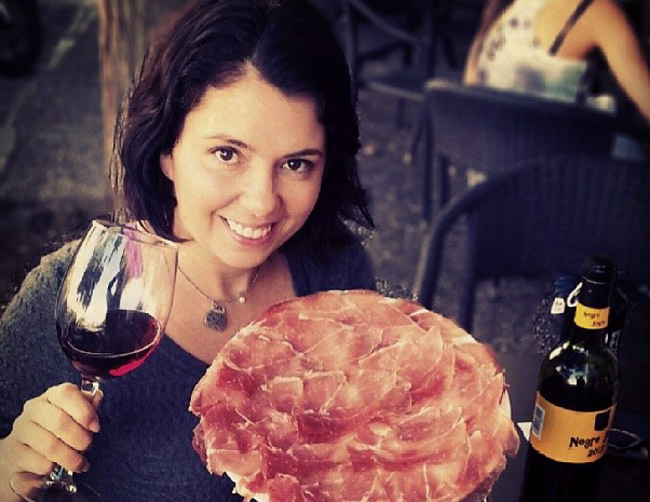 They flew me into the country to discover what I love most – food. However, they were great to work with as they did not dictate what I needed to write, only to share what I thought would be valuable and interesting to readers. I loved it the food which make in jamaican. Me too a foodie lover. I wanted to go there for trip but it was cancelled due to my office. next year definitely i will go for trip. Thanks for sharing your food experience. Absolutely wonderful and pretty comprehensive article. Learned about the Bob Marley drink. Will want to try it all. The pictures were wonderful. 🇯🇲 Yardie here! Trying to find what’s missing and can’t! Only other things I could add are mannish water, red peas soup and perhaps busta sweets. Well done! Ooh and a reason for me to go back! Nicely done. Not bad and to think there are so many more to be added. Keep them coming!!!!. Black Forest Cake. I was introduced to this delicious cake at Hammond bakery in Negril. Also the fresh pineapples, mangoes, bananas, ginaps and sugar cane. A yardie here, I also cook in villas and you pretty much nailed it. Stewed peas with pig tails is also popular with locals. Hurry back and eat some more!